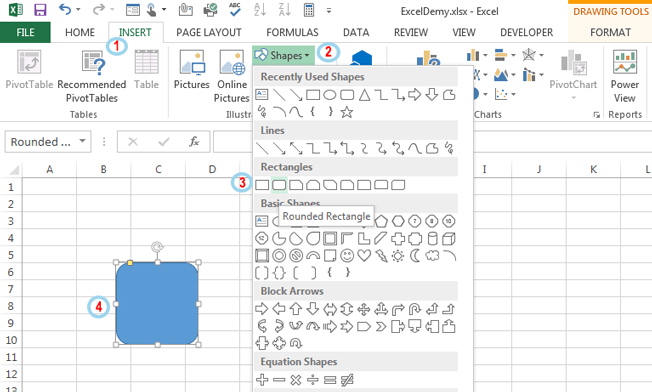 In this tutorial, you are introduced to Excel’s Ribbon feature. 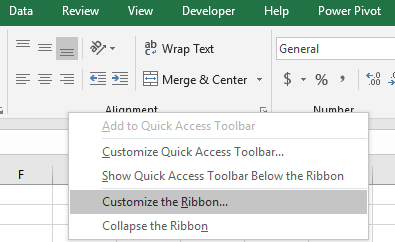 Excel ribbon makes your work faster and smoother. 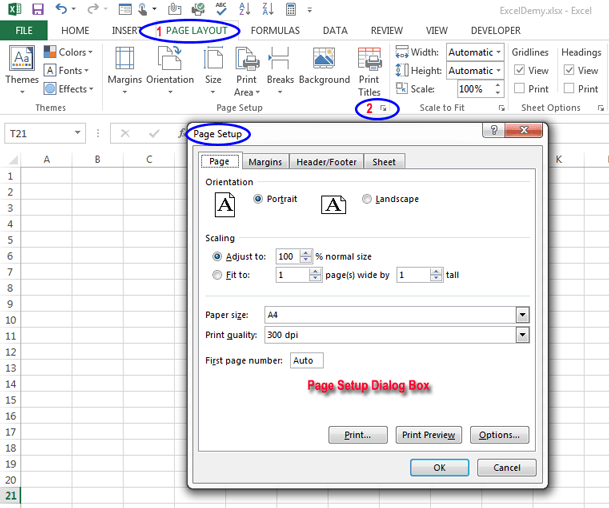 After reading this article you will be able to know how to show, hide, & customize Excel ribbon. You will also get to know the basic components of Excel ribbon, Quick Access Toolbar etc. 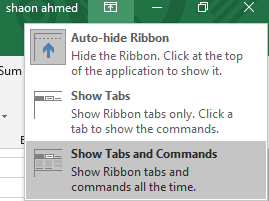 The ribbon is the long narrow region located above the work area where there are some tab names, buttons, and icons to work with. The menus and toolbars have been replaced with the Ribbon from Excel 2007. 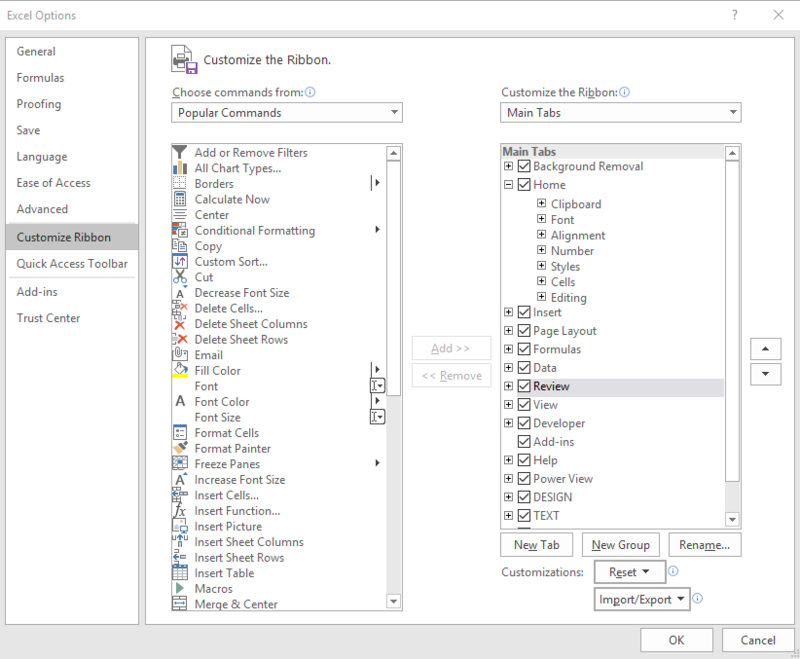 In Excel ribbon, commands are grouped in specific categories. For example, ‘Clipboard’ group is made up of ‘Paste’, ‘Cut’, ‘Copy’, and ‘Format Painter’ commands in ‘Home’ ribbon. 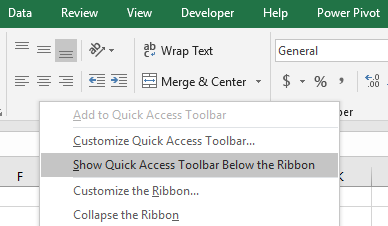 There are five basic components of Excel Ribbon. They are the Quick Access Toolbar, Tabs, Groups of commands, Command buttons and icons, and Dialog Box launchers. Quick Access Toolbar: This customizable toolbar holds commonly used commands. You can add more commands to this toolbar using ‘File⇒Options⇒Quick Access Toolbar’ command. Whatever tab (Home/ Insert/ Page Layout/ Formulas/ others) you are using, this toolbar is always visible. Tabs and their names: Tab names are HOME, INSERT, PAGE LAYOUT, FORMULAS, DATA, REVIEW, VIEW, and DEVELOPER. A tab name contains some groups of commands. Click INSERT tab (by default HOME tab is selected) and you will see Tables, Illustrations, Apps, Charts, Reports, Sparklines, Filters, Links, Text, and Symbols like groups of commands. Groups of commands: In INSERT tab, the Tables group of commands is made up of PivotTable, Recommended PivotTables, and Table command buttons. 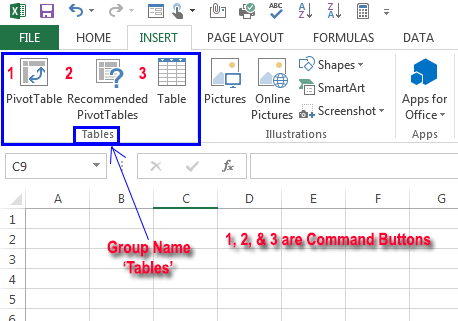 Command buttons & icons: In INSERT tab, the Tables group of commands is made up of PivotTable, Recommended PivotTables, and Table command buttons. Every command button has an icon to recognize it easily. Dialog box launchers: Some groups may have more commands that they are showing in the Ribbon. For example, PAGE LAYOUT tab’s Page Setup group has more commands than it is showing in the ribbon. How did we understand this? As there is a small arrow located in the lower-right corner of Page Setup group. Click on this small arrow and the dialog box will appear in the screen with more commands. 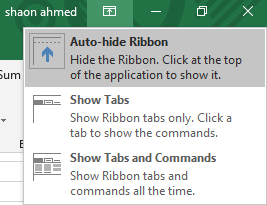 Each tab on the Ribbon contains groups of commands. Don’t be afraid to see a huge number of commands on each tab. If you go through all the tutorials of this website, you will be familiar with each of the common Excel commands. Tab names are HOME, INSERT, PAGE LAYOUT, FORMULAS, DATA, REVIEW, VIEW, and DEVELOPER. A tab name contains some groups of commands. Click INSERT tab (by default HOME tab is selected) and you will see Tables, Illustrations, Apps, Charts, Reports, Sparklines, Filters, Links, Text, and Symbols like groups of commands. Click here to know details about Quick Access Toolbar. When you will work with charts or shapes or these kinds of objects then special types of tabs will appear in the Excel Ribbon Tab zone. These contextual tabs contain commands related to objects that you have selected. For example, if you add a rectangular shape to your worksheet and select it, a contextual tab naming ‘FORMAT’ will appear after the last tab in the tab zone. Select the new shape by clicking on it. You will see the contextual tab, labeled ‘Format’. ‘Format’ tab will be visible only if you select the shape. Under every tab, the command buttons reside in a group. A group contains loosely similar commands. Under ‘INSERT’ tab, the ‘Tables’ group of commands is made up of ‘PivotTable’, ‘Recommended PivotTables’, and ‘Table’ command buttons. Some groups may have more commands that they are showing in the Ribbon. For example, ‘PAGE LAYOUT’ tab’s ‘Page Setup’ group has more commands than it is showing in the ribbon. How did we understand this? As there is a small arrow located in the lower-right corner of ‘Page Setup’ group. Click on this small arrow and the dialog box will appear on the screen with more commands. What is Ribbon in Excel? Dialog box launcher. Press on the Ribbon Display Options icon option on top. After that click on to Show Tabs and Commands option. After that click on to Show Tabs option. 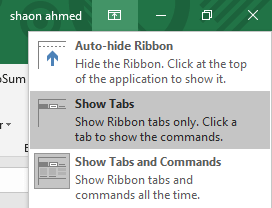 To hide the ribbon tabs do the following. After that click on to Auto-hide Ribbon option. To customize Excel Ribbon do the following. First, right-click on the mouse button on the empty space of the ribbon. Click on the Customize the Ribbon. A new box (Excel Options) will appear in which you can edit, remove, rename or add any tab that you want. You can even form a new group of tabs. 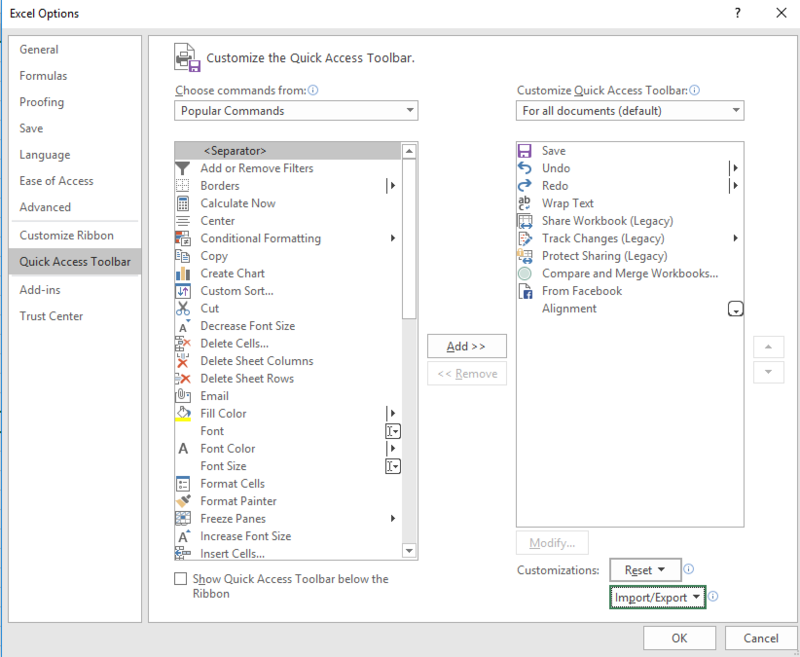 Click on the Customize Quick Access Toolbar. A new box (Excel Options) will appear in which you can add or remove any tool you want. You can use the following code to hide the Excel Ribbon. Note: To unhide/show Excel Ribbon use the same code and run it. After clicking the Run option you will see the Excel Ribbon is visible. This happens because the HideRibbon used here is a toggle Button. what a waist of my time the information did not come close to answeroing my question!